Vijay Devarakonda is the current flavor of the season. His last film, Pelli Choopulu created ripples all over the place and Vijay is being considered the next big thing in Tollywood. 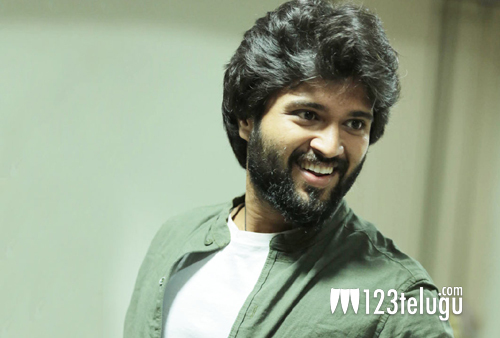 His next film, Dwaraka is nearing its release and the young hero is quite confident that the different subject will surely impress the audience. The shooting of the film has been completely wrapped up and the post-production is on in full swing. Pooja Jhaveri plays the female lead in this Srinivasa Ravindra directorial.